Offaly's own Tina Hannon was named the Player of the Game following the All Ireland Senior Club Camogie Final at the weekend after a superb individual performance. Slaughtneil overcame Sarsfields in the final to reclaim the All Ireland title and Tina scored an impressive 1-8 in the decider. Tina has had a memorable two years on the camogie fields and last Sunday’s victory was the icing on the cake. Tina’s club career in Offaly ended in October 2016 when her home club Naomh Brid won the Offaly Junior Camogie Championship. Tina was joint-captain on the day. Tina has won several awards including a back to back junior All-Ireland and Intermediate All-Ireland titles with Offaly in 2009 and 2010, she also won Offaly player of the year in 2015. Last Summer she juggled intercounty camogie with Offaly and club duties in Northern Ireland. In the Leinster quarter-finals, Hannon drove from the top of the country to the bottom to play Wexford where she came on late in the second half and scored three points to win the game. Tina has won several awards including a back to back junior All-Ireland and Intermediate All-Ireland titles with Offaly in 2009 and 2010. She also won Offaly Player of the Year in 2015. Last summer she juggled inter-county camogie with Offaly and club duties in Northern Ireland. In the Leinster quarter-finals, Hannon drove from the top of the country to the bottom to play Wexford where she came on late in the second half and scored three points to win the game. 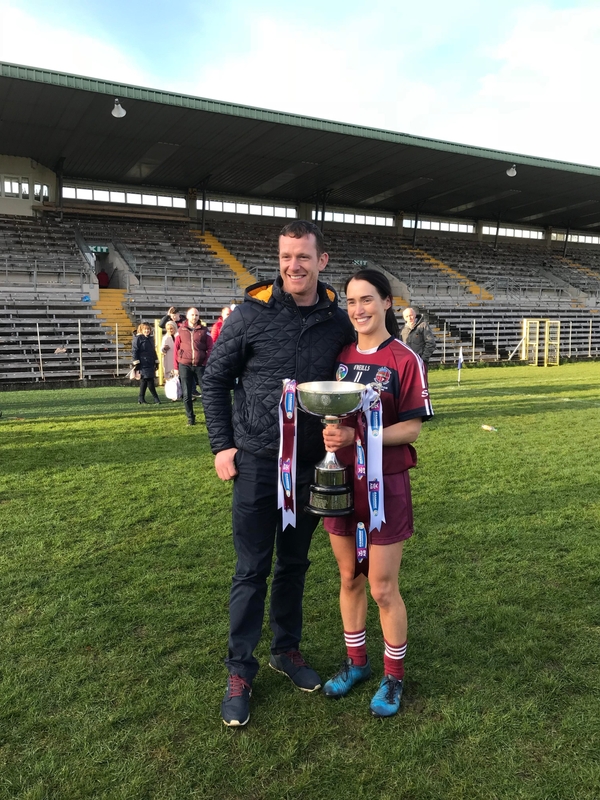 Six months later, Tina was lining out for the 2016 All-Ireland club champions Slaughtneil, a small club with a big story in Derry. In the following months, Tina would become an integral part of team both on and off the field as she would begin to build a house with boyfriend and famous footballer Patsy Bradley. Bradley and Hannon met on Fraser Island on the east coast of Australia six years ago and the rest is history. With a new job in Letterkenny and foundations laid, Hannon opted for the opportunity of a lifetime to line out for Slaughtneil. 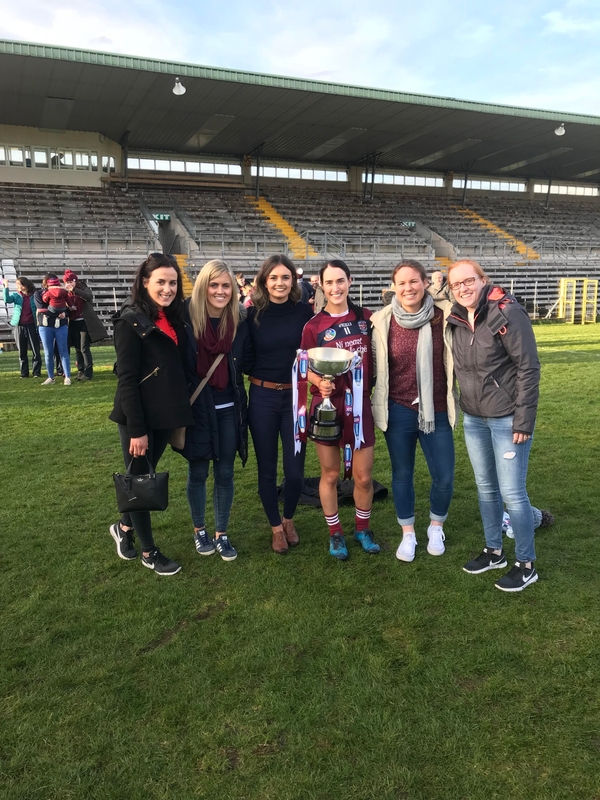 Tina's family and a number of her Offaly county team-mates made the trip to support her on the day and they were on the pitch to celebrate with her after the game. Talking about her former club Naomh Brid Tina had nothing but praise for her Offaly side. Speaking about winning the Player of the match award, Tina played down her role in the game.